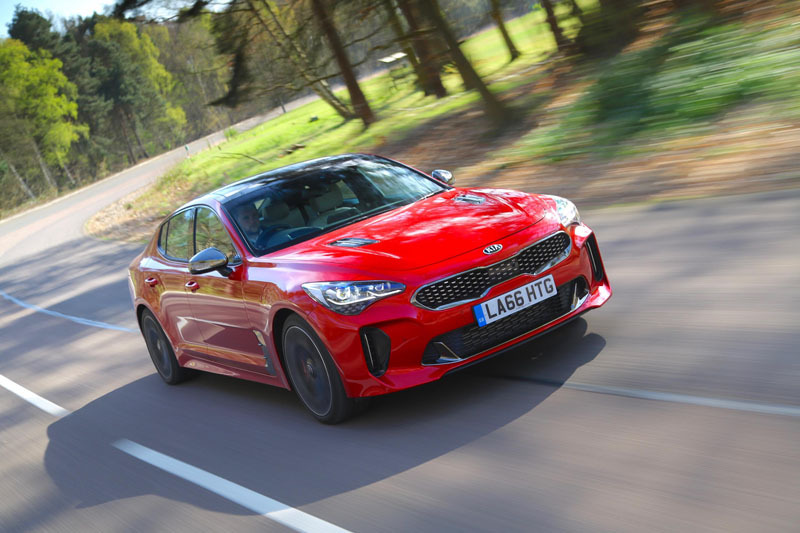 Order books have opened for the eagerly-awaited Kia Stinger, the company’s first GT. The Stinger officially goes on sale on 1st January 2018, with prices starting from £31,995. 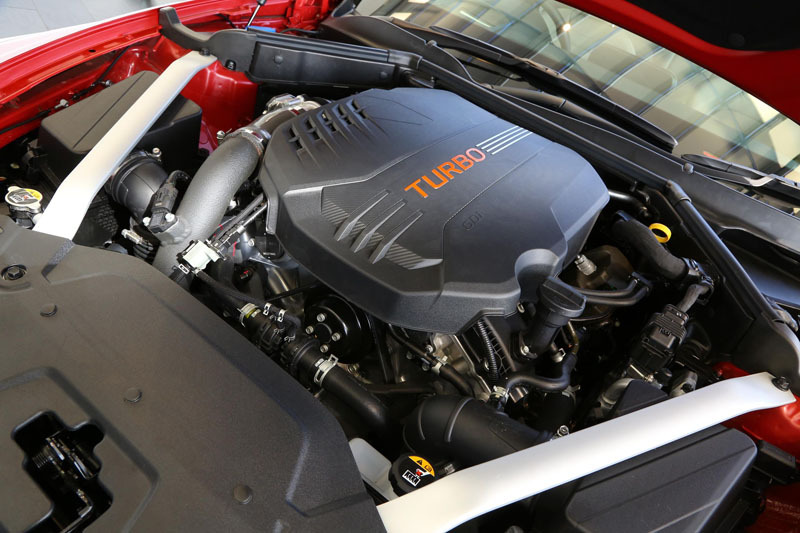 Three engines are available, starting with a 2.2-litre turbodiesel with 197hp and 440Nm of torque that’s capable of sprinting from 0-60mph in 7.3 seconds and on to a top whack of 143 mph. It’s said to also offer economy of up to 50.4mpg and a 600-mile range on a full tank. 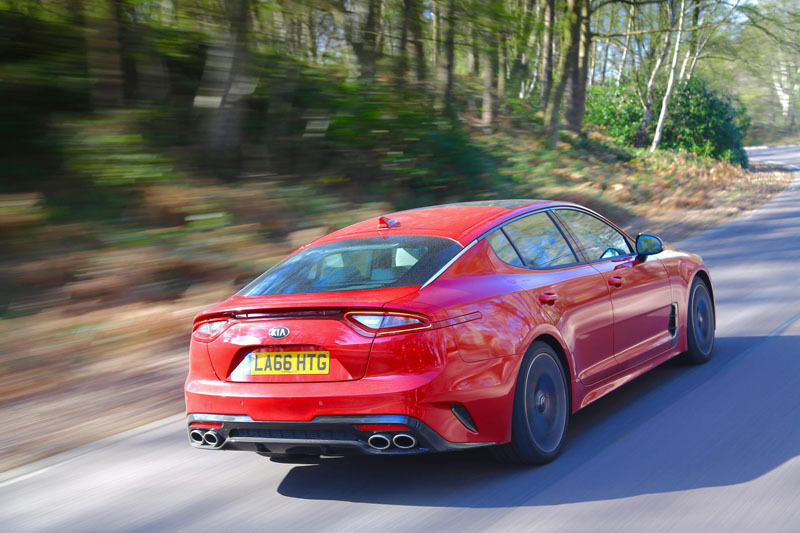 Perhaps the more likely choice will be the 2.0-litre four-cylinder T-GDi petrol, its 244hp and 353Nm of torque completing the same sprint in an enticing 5.8 seconds, yet can still return up to 35.8mpg. The focus of the range, though, must surely be the 3.3-litre twin-turbo V6. Priced from £40,495, its 365hp and 510Nm propel it to 60mph in 4.7 seconds, before maxing out at 168mph. Economy is still respectable at 28.5mpg, with CO2 emissions of 225 g/km. 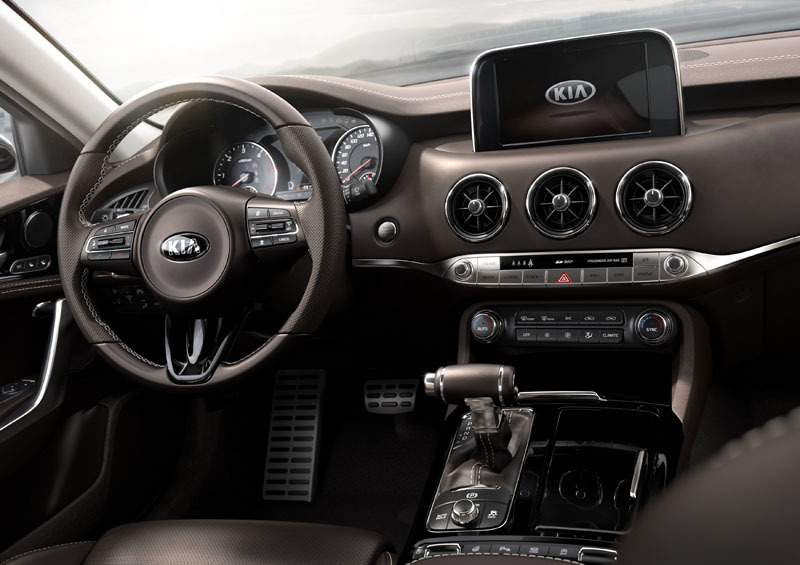 Notably, all models benefit from a limited slip differential, with the rear wheels driven through an eight-speed automatic transmission. The diesel and 2.0-litre petrol models are offered in a choice of GT-Line or GT-Line S trim: all feature an 8-inch infotainment system, head-up display, nine-speaker sound system, 18-inch alloy wheels, eight-way heated leather memory seats, and an electrically-adjustable steering column. GT-Line S models upgrade the sound system to a 15-speaker Harmon Kardon set-up while adding 360-degree parking cameras, blind spot detection, rear cross traffic alert, full LED headlights, ventilated front seats, heated rear outer seats, and a powered tailgate. The V6 is available only in a range-topping GT-S spec, and it includes Brembo brakes, 19-inch alloy wheels, Nappa leather upholstery with side bolster adjustment, electronic suspension and a variable steering ratio. Colour choices include Sunset Yellow, Pearl White, Midnight Black, Ceramic Silver, HiChroma Red and Panthera Metal.